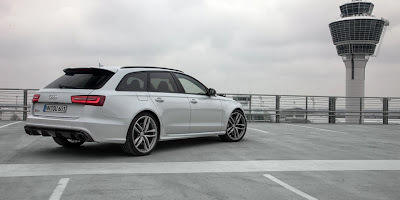 Recently I had the opportunity to see the new Audi RS6 C7 on the road and I was quite disappointed because the sound of the 4.0L V8 biturbo engine doesn't give justice to the remarkable performance. Let's face it, nowadays with the strict rules of the CO2 emissions and the downsizing of the engine, it's not easy for the car makers to develop a proper exhaust, that's why the market of the aftermarket components has become a great business for the companies. HMS has developed a must-buy exhaust for the Audi RS6 which turns out the tiny growl of the engine into a massive roar! Mate, that is a phenomenal sounding car.